When I got home today, I was hungry. REALLY hungry. Armed with a pound of quality ground beef, I set about making mozzarella-stuffed meatballs. But somehow that wasn’t decadent enough. Rummaging through the fridge, pawing around in the pantry, scanning the countertops – there it was – the onion. 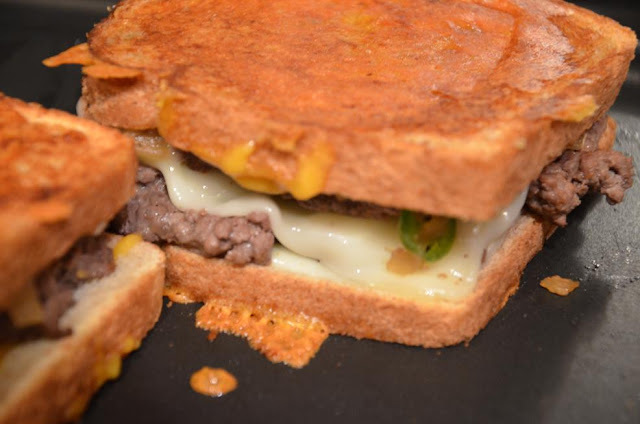 I said to the onion, "oh how lovely you would be, all caramelized with you little friends, the Serrano peppers"... Spicy patty melt it is. I love a fantastic burger. Usually I would rather be relaxing, enjoying a fabulous microbrew or three with my burger expertly prepared by…someone else. But sometimes I just need to create. For these 2 burgers, I used 2 thin quarter pound patties each. It is best to have everything prepared before the meat hits the griddle or grill, because the whole process moves quickly from there. 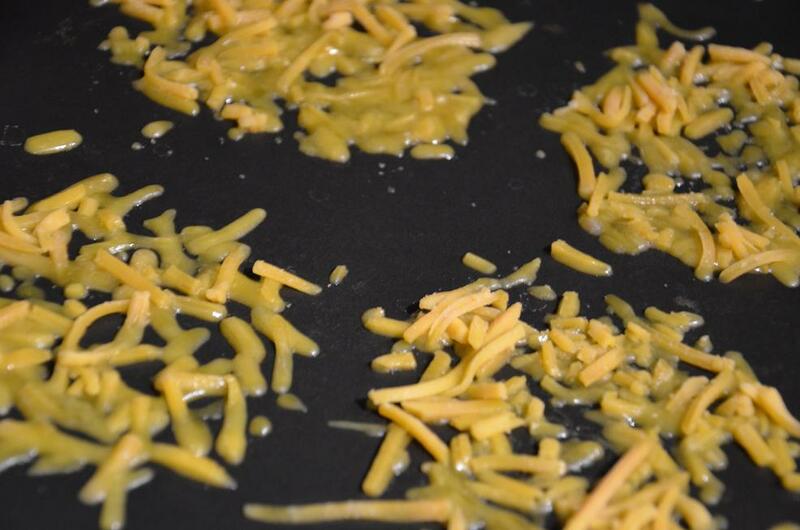 So fist, caramelize the onions with the butter over low-medium heat until they reach your desired done-ness. If you do not like your onions overly sweet, you will leave them golden, just past translucent. If you like them sweetly caramelized, continue until they are almost the color of brown sugar, and nearly as sweet. 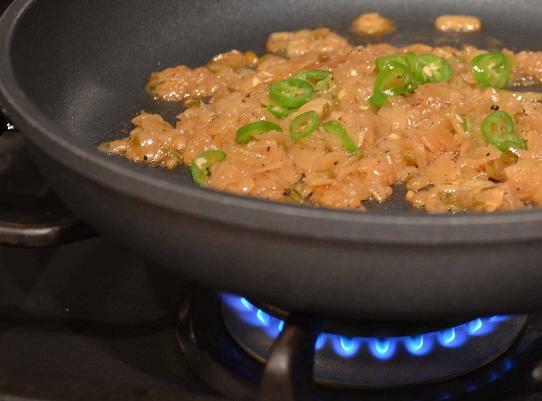 Add the serrano peppers and saute for another couple of minutes. 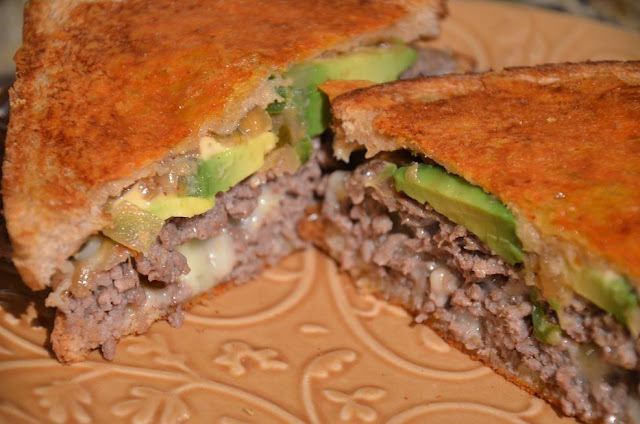 While the onions are caramelizing, slice the avocado, gather the cheeses, butter one side of each slice of bread, and make the chipotle mayo. 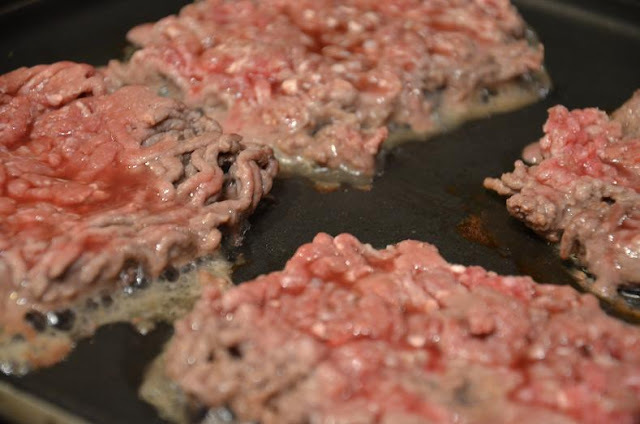 Once your onions are finished and set aside, it's burger time! 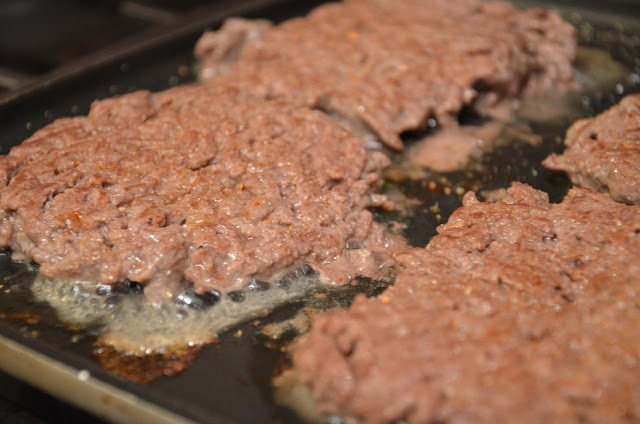 You may choose to cook your patties on a griddle, on the grill, whatever works for you. Now you don't! Place one side of each sandwich butter side down on the cheese. Next, spread some onions on the bread in the skillet. 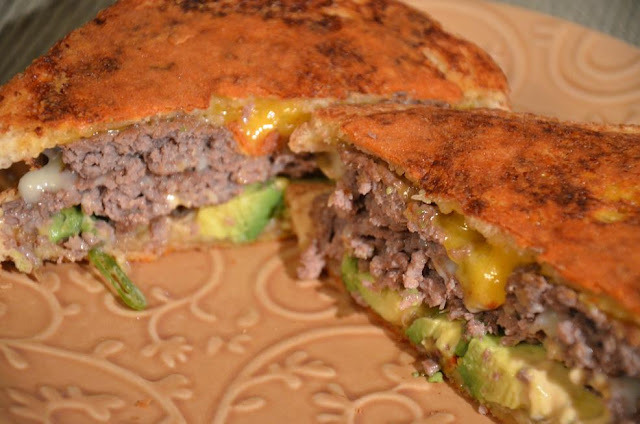 A patty, a slice of cheese, a patty, a slice of cheese, and then top it with the next slice of bread, butter side out. Cook over medium heat...it will take patience not to disturb the cheddar that is crusting onto the bread. 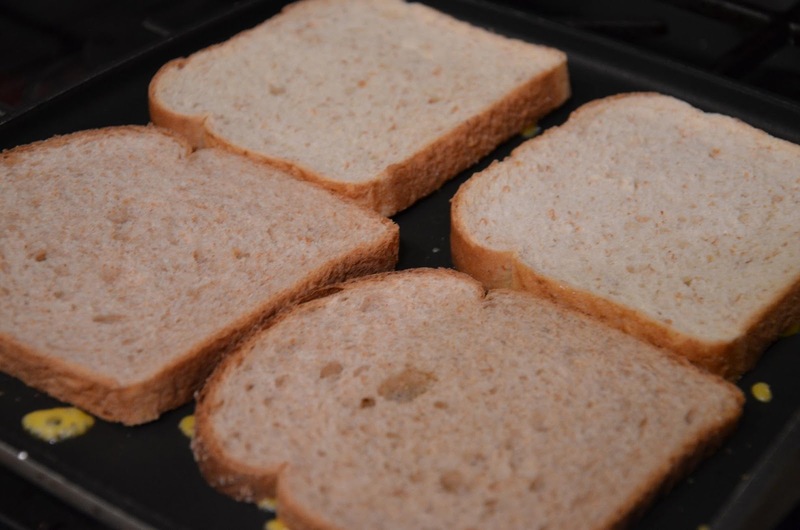 If you try to flip the sandwich too soon, it will be sticky and resistant to the spatula. Once crusty, it will be must easier to handle. When it reaches optimum crustiness, lightly sprinkle more cheddar where you will be flipping the other slice of bread to. Repeat process. When your sandwich is gooey and melty, remove from heat. Lift the onion side, and smear generously with chipotle mayo. Lay avocado strips across the patty, and put the lid back on. When you cut through that crunchy cheddar crust, you know that you are in for a treat! I'll have to try this! 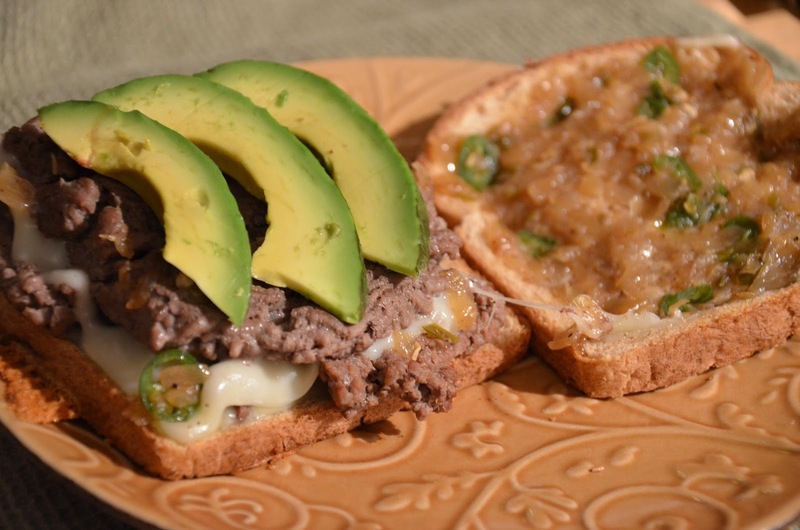 Could I substitute jalapenos if I don't want it as spicy? Thanks for the tips! I've never heard of crusting the bread with cheese. I showed your recipe to Frank (he's more of a cook than me); I think I might get him to make this for us! He doesn't like to follow recipes unless there are photos, so your blog with step by step pictures is great!